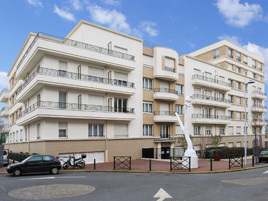 The residence is located in the heart of Nanterre, on the town's main thoroughfare, near shopping, very close to the Place de la Boule, from which you can get to the La Défense business district by bus very quickly. The private garden of this pleasant residence and the quiet apartments looking out onto the rue des Vignes will ensure you have a relaxing stay, while still being close to your business needs in Nanterre, La Défense, and Rueil Malmaison. The occupancy tax, which is determined by the municipality, is 1.65% of the price of the night (capped to 1.98€) per person (from 18 years old) and per night.